Do we really need our doctors to be ‘resilient’? When we think of the word ‘resilience’ it conjures up certain meanings. ie that no matter what is thrown at you, you can ‘handle it’. That you are tough enough to take it all on, and carry on. Increasingly there are moves to train our doctors to be more ‘resilient’ to life, but is this really what is needed? Burnout rates in the profession are utterly staggering. Over half of the medical profession. That is correct, over half of the medical profession are burnt out. 25% of the profession have thought of killing themselves at any one point in life. That’s right. A quarter of health care professionals, those trained to be our experts in health care have found life so miserable that their only way out has been to contemplate suicide. Our suicide rates are far higher than any other section of society, the irony not being lost here as we are health care professionals. The levels of bullying and harassment in our profession are rife, and increasingly doctors are beginning to speak up about the stresses and strains that they are under, and in the UK in particular, they are walking off the job to move to other countries where they feel more valued. It is clear that as a profession our health and well-being is suffering. But is aiming for increased ‘resilience’ really the answer? The sort of people who do medical school are by nature pretty ‘resilient’. They push themselves, deny themselves all sorts of things, in order to not only get the marks required for medical school but increasingly the vast array of extra-curricular activities that are required to demonstrate and prove that one is a suitably exceptional candidate. As doctors, we care deeply about people and innately and through our programming in medical school we want to take away human suffering. We see it as being a bad thing. Yet we quickly realise that the time that we have and the tools that we have in our medical armamentarium are not sufficient, and are woefully inadequate in comparison to the immensity of the human suffering that we are confronted with. There is much to process in day to day life, in conjunction with the multitude of pressures, to do with time management, clinic hours, paperwork, and on top of that our life and family demands. Many of us burnout and there are many things that people are pointing the finger to that are causing burnout. Some people say its long hours, but its clearly not that, as many people work long hours with no burnout. There are clearly other factors at play and we are certainly affected by and react to the toxicity of the environments that we find ourselves in. But is ‘resilience’ really what we need and what we truly want our doctor to be? If the environment that doctors are in is abusive and causing harm, then why would we want them to be more ‘resilient’ to these abuses? To accept them and to toughen up to them? If there are things that are causing emotional pain, distress and a protective shut down in order to ‘get on with the job’ then why would we want them to be ‘resilient’ to that? Why would we not want our doctors to be sensitive, to have feelings and the time and the space to process them? Why would we not want to address the abusive factors in the system that are harming and placing stress and strain on doctors? Why do we want our doctors to be ‘resilient’ to and put up with a complaints and regulation system that holds them as having less human rights than average people in the community? Asking or demanding our doctors to be ‘more resilient’ is about asking them to to carry on, to be just ‘a bit better’. To be ‘OK’, but not fantastic. To be less of a ‘statistic’, but not amazing. It asks them to ‘make it through no matter what’, to put up with it all as it is, and keep coming back for more. Resilience is not about true health and well-being. It is about survival. We have a responsibility in health care to provide a caring service to those that seek it, and to equally care for those who are providing the care in health care. Aiming to make doctors ‘resilient’ abrogates responsibility that any of us have for the culture of health care and the systems of health care. It places the blame firmly at the feet of doctors for ‘not being able to cope’. For being ‘the wrong sort of person’ who has ‘stars in their eyes as to what it is all about’. Instead of directing the focus on making our students and doctors ‘resilient’, what if we instead spent time nurturing their sensitivity and their care? Sensitivity is the key to our well-being. Sensitivity allows a person to know when they are affected by something and thus allows them the space and the grace to seek support to heal if they need it. It is our sensitivity that allows us to know when there is something wrong in the system and to take steps to address it. It is our sensitivity that allows us to be aware of and take a greater attention to the details of our own lives, and the lives of our patients. Sensitivity means that a person learns to recognise abuse and to take steps to end it and to support others who find themselves in abusive circumstances. This is valuable and needed in developing a more caring society. Sensitivity allows a person to develop heart felt caring relationships with one another and this is exactly what is needed in medicine, and life! Our sensitivity allows us to be sensitive and caring with another person, qualities that are needed in health care. Sensitivity allows us to listen, to understand, to nurture and deeply care for each other as first it allows us to do that for ourselves. When we deeply care for ourselves, we take the steps to true well-being and a true care for ourselves, and others. And this is ever unfolding. Instead, aiming to be ‘resilient’ caps us as a profession. It keeps us short term foot soldiers, always on the fight, managing and concealing our ‘stress’ until we crack at a later date. It does not equip us with the true enduring tools that we need to be truly successful, well and healthy physicians in all areas of life. Sensitivity delivers us to our true care. Honouring our sensitivity leads us to the true care that we all are and are able to provide, and takes us to the pathway of true well-being. It is through honouring our innate sensitivity and care that our profession and system can and will transform to better support us all. ← ‘Resilient’ doctors, or, Doctors on Fire?! Oh how I agree. I have a lovely female GP and a kind male psychiatrist. I’d hope they are both resilient so that they do not suffer terribly from the pain of their patients but one thing I know is that both are sensitive and caring. I am so thankful to have them! Resilience is not about being tough it is about being able to recover. A key aspect of this is self-care. To be able to care for others it is important to care for ourselves first. Nurturing ourselves enables us to nurture others. Self-awareness and caring for self enables empathy and care for others. Hi Kay, I agree with you about the importance of self care and self nurturing and particularly self awareness. But I don’t feel the focus on these things is about making ourselves ‘resilient’ to the world. I feel that our focus is to take super good care of ourselves, so that we can be truly well, not so that we can survive the day a bit better! If there are things that are abusive and harmful with the world around us and in particular with the systems that we work in, these things need to be addressed. If we are focussing on being ‘resilient’ to the world around us we are missing out on addressing everything that needs addressing, making the focus on adapting ourselves to what is around us. Not always a good thing. The current focus on resilience is making doctors ‘work proof’ which is a toughening, which is a big issue in our profession already. It doesn’t have anything to do with focussing on supporting doctors to live truly well. It is an expedient solution without the full gamut of care. We need systems that truly care for us and value us as people. And we need to have a focus on supporting ourselves to live lives as a whole that are truly well and healthy. Honouring our sensitivity and nurturing our sensitivity and deeply caring for ourselves is the key to not only our true well-being but to the best possible care for our patients. It goes far beyond the notion of ‘resilience’, and delivers us to our full potential. And when we are full, truly caring for ourselves in full, we are able to truly care for others. 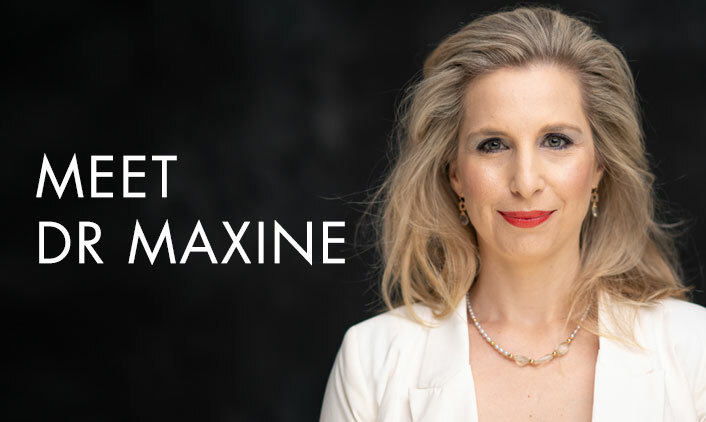 Stunning article Maxine, timely and much needed. The way we are training doctors to cope, to be tough, to go into battle, army style, is patently not working, as you have described, for doctors or for our patients. All of these coping techniques like resilience and mindfulness are not addressing the root cause of the problem, which is our lack of care for ourselves and each other, and as you say, are laying the responsibility firmly on the shoulders of individual doctors, allowing the systemic abuses to continue. And what happens if resilience does not work? What is the solution then? Great to expose this and to offer a more true and lasting way forward. I would much rather be and go to see a sensitive, caring, aware doctor than a resilient one! We could say resilience is great, but look around and what do we see? Increased rates of illness and disease despite our relative luxury. Something is amiss it seems. From what you share Maxine, I get the sense that resilience is just a lie, a dream that makes us think we are fine, when in actual fact our sensitivity is so profound that we need to work 24/7 to block it out.